Osaka was the first city I visited in Japan. I got invited to spend a week-end with Yuki, a former classmate in San Francisco and his family at their house in Akashi. They took me around to visit the main attractions of the region and discover activities that Japanese people typically have on week-ends. I had an amazing time tasting all types of food and doing very unusual things that Japanese seem to like. 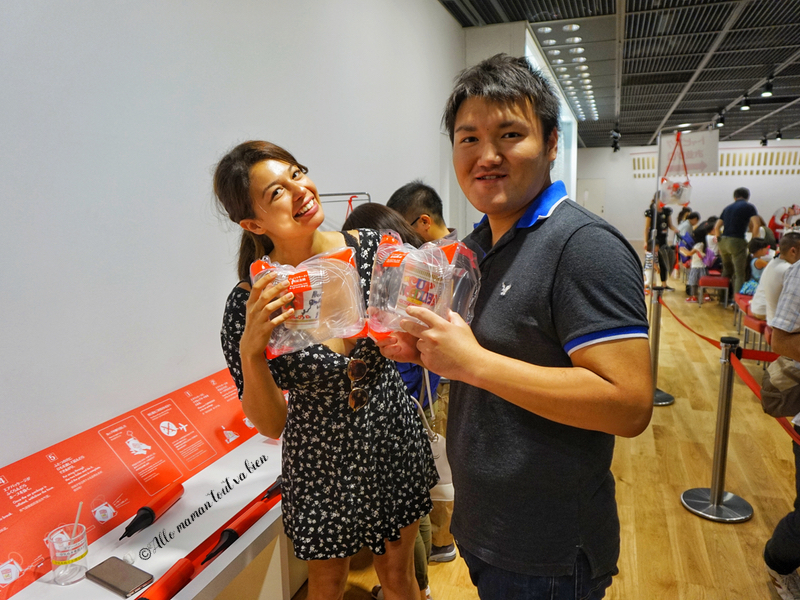 I wanted to share with you guys the super fun experience I had at the Museum of instant noodle in Osaka, an intriguing, almost odd but extremely entertaining place. 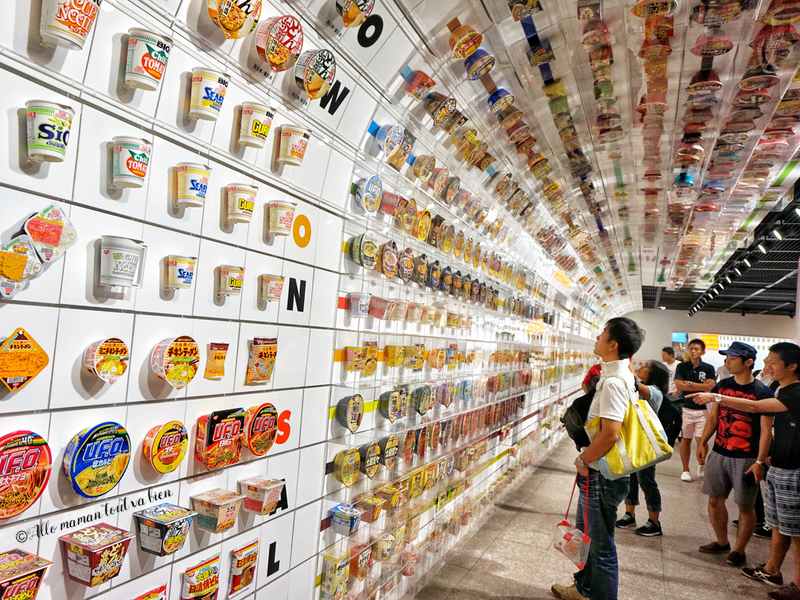 Why an Instant Ramen Museum ? 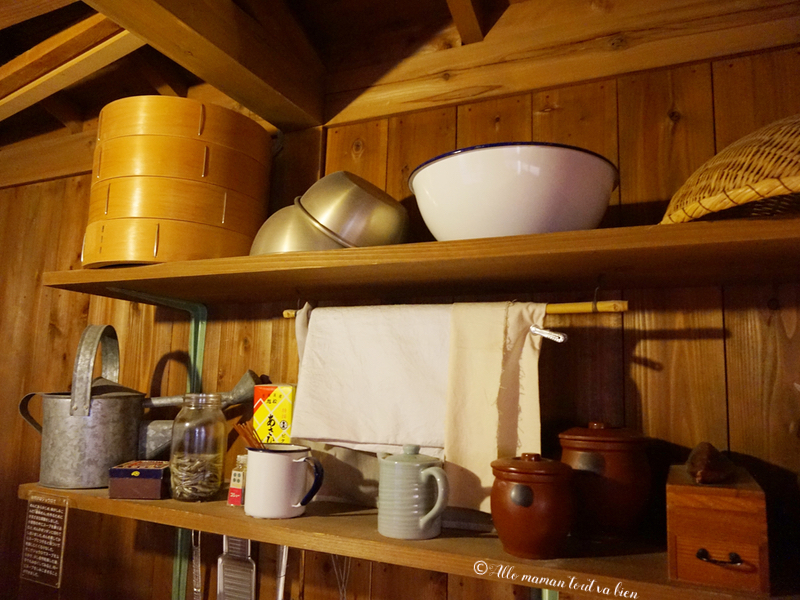 This museum could almost be a historical monument for the Japanese culinary culture. Momofuku Ando, the creator of the instant noodles was convinced that creativity is the most powerful thing a human can have. “Inventions and discoveries are the main actors of history,” he believed. So all the museum is about sending a strong message of encouragement to all visitors making them believe in their own potential, and creativity skills. It is Momofuko’s philosophie of life that inspired the creation of such a museum. The place sends a very strong encouraging message to adults and children as well, pushing them to believe in their potential. It is a very inspiring museum that I would definitely recommend to check out if you are in Osaka. 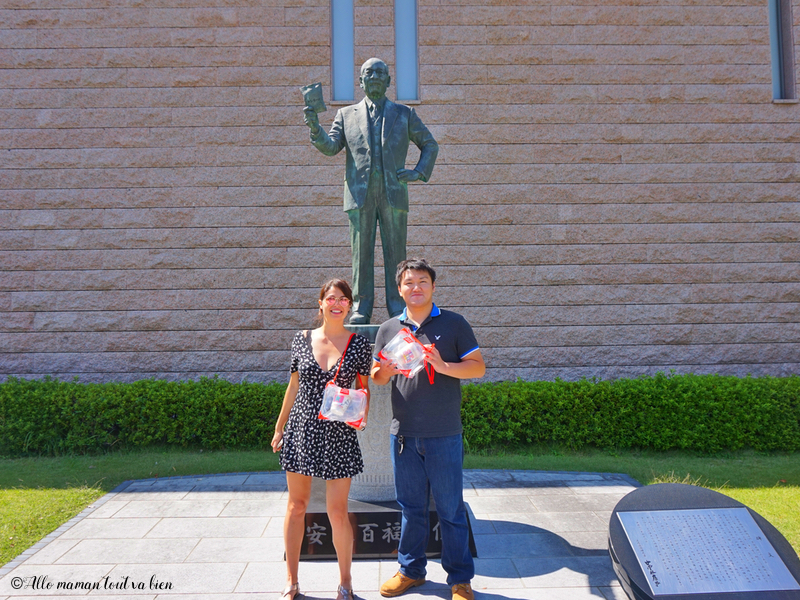 This museum really helps to understand better the history behind the invention of instant noodles and evaluate the growth and expansion of this new industry in Japan and in the world. 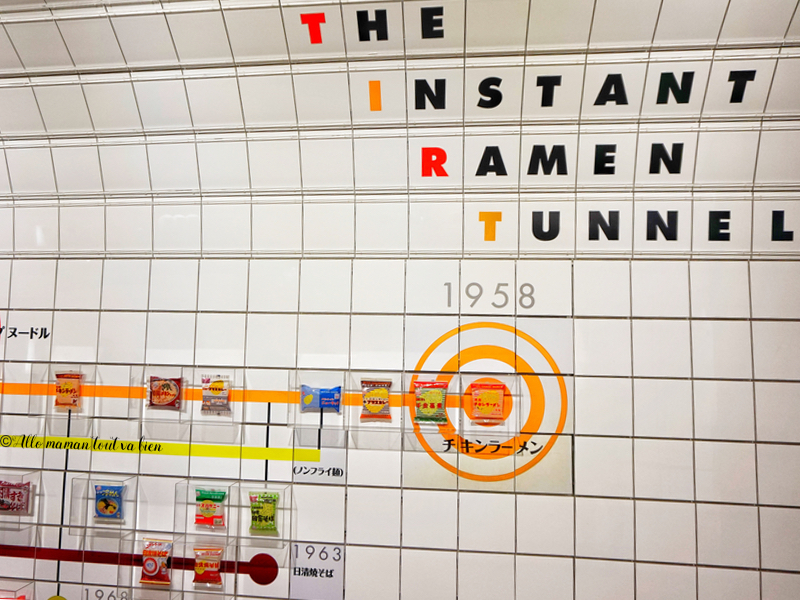 It offers an interactive exhibition that shows the exploits of the father of instant ramen. You can learn all about this man who dedicated his life to creating a revolutionary culinary culture. Over 100 billion packages of instant noodles are consumed annually worldwide. Each of these packages can trace its origins back to the first package of Instant Chicken Ramen invented by Momofuku Ando in 1958. It even exposes noodle cups that no longer exist in the market today . This permits the Japanese visitors to recall all the various noodles they used to eat when they were younger. Momofuku museum’s mission is to show its visitors how everyone could invent and create new things. They just need to find the courage to start. As a matter of fact, it took Momofuku more than 10 years to believe in his project and create the instant noodles. But the invention itself of the first instant noodle took less than a year. The museum vehiculates the idea that efficiency is the key of success. “It does not matter how much time you spend, what matters is how you use this time ” he believed. Therefore, the story of Momofuku shows everyone how a simple idea can turn into a brilliant invention. His work was a revolution for the world and its eating habits because he believed in him self and his project. The goal of making a museum out of it was to make people chase their dreams. The workshops are there to bring out the creative and artistic potential of all children and adults who take them. What to do at Momofuko Ando Museum? The exhibition begins with an impressive amount of packages of instant noodles. They are organized in a chronological order of their creation. The first noodle package is the Chicken Ramen (originally called “Chikin Ramen”) . As a matter of fact, over 800 packages are exposed. They show visitors how a single product introduced into the market more than 50 years ago has changed diet and eating habits for billions of people around the world. 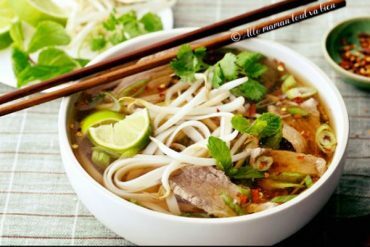 Instant noodles were born in Japan but are consumed all around the world nowadays. I discovered uncountable varieties of ramen sold in more than 80 different countries. Their flavors, thickness and even size is adapted to the target consumers of each country. The differences between a country and another were very interesting to analyse. The whole museum in dedicated to Momofuku achievements. His life story is introduced through images and photographs, medals he receives and some personnel objects. 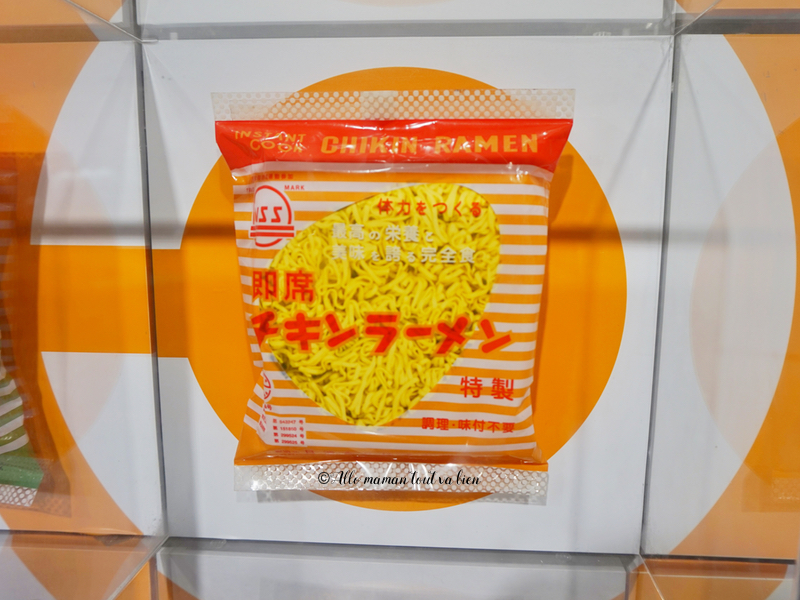 But the star of the museum is the “Chickin Ramen”, the first ramen ever created in the world’s history. The best part of the museum is indubitably “My Cup Noodles Factory”! Step 1: First, buy an empty cup of instant noodles from one of the many vending machines around. 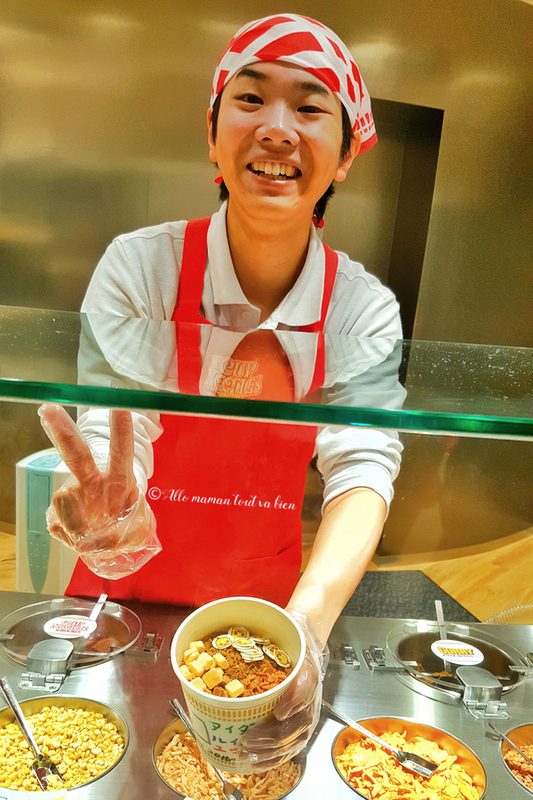 Step 4: Finally, wrap the noodle cup, and go home with a big smile over your face to taste your “création”. The museum gift shop is “Chickin Noodle” centered. The mascotte Hiyoko-chan is the real star of this shop. 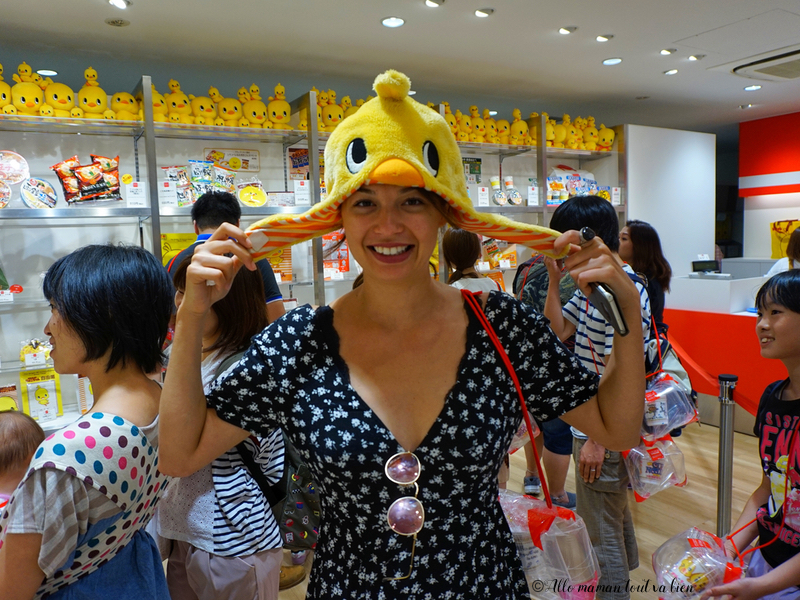 You can buy the cute yellow chick in the shape of any object you wish: hat, teddy bear, mug…etc. Also, some very interesting books about the instant noodle history and Momofuko Ando are sold for a fair price. 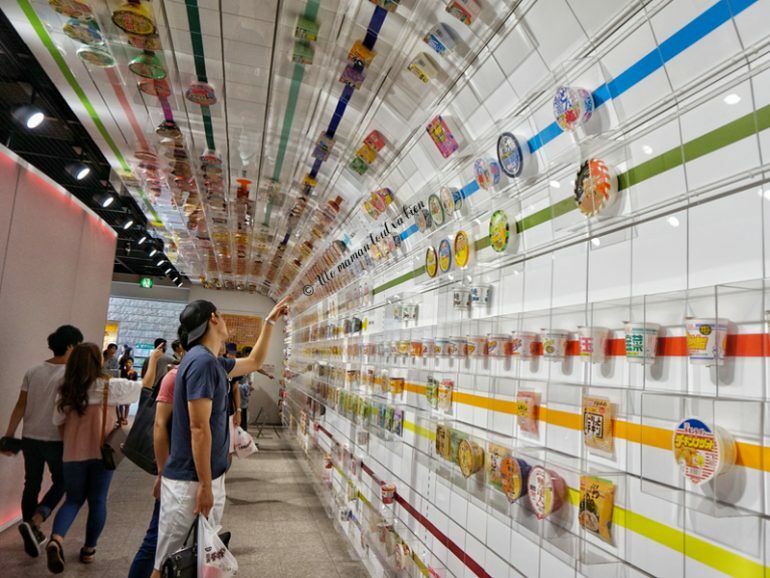 Useful information about The Instant Ramen Museum ? Admission fee: Free for the museum. 300yens for each cup of noodles at the “My Cup Noodles factory” . Train station: Ikeda Station on the Hankyu Takarazuka Line (20 min ride from Hankyu Umeda Station via express train). The museum is approximately 5 min walk from the Masumi-cho Homen Exit. Here was a little preview about the most unusual museum I have seen so far. 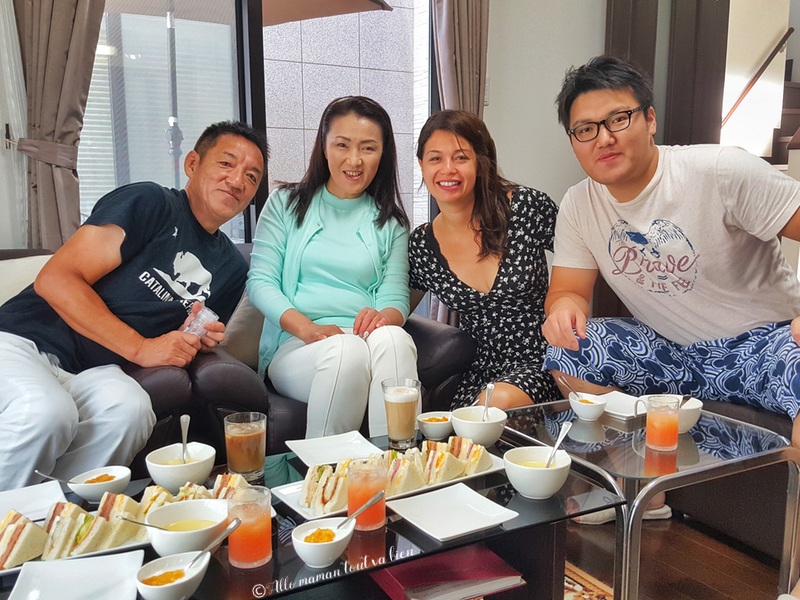 My stay in Osaka was an absolute delight thanks to Yuki and his family. If you likes this article, share the love on your favorite social media! I went there last April and I had so much fun! 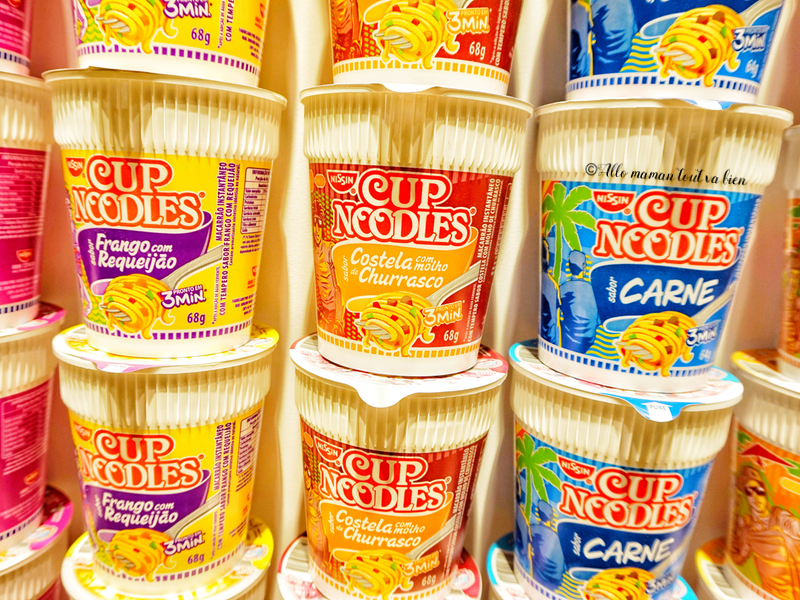 Going back to the cup noodles museum next year, but this time in Yokohama. 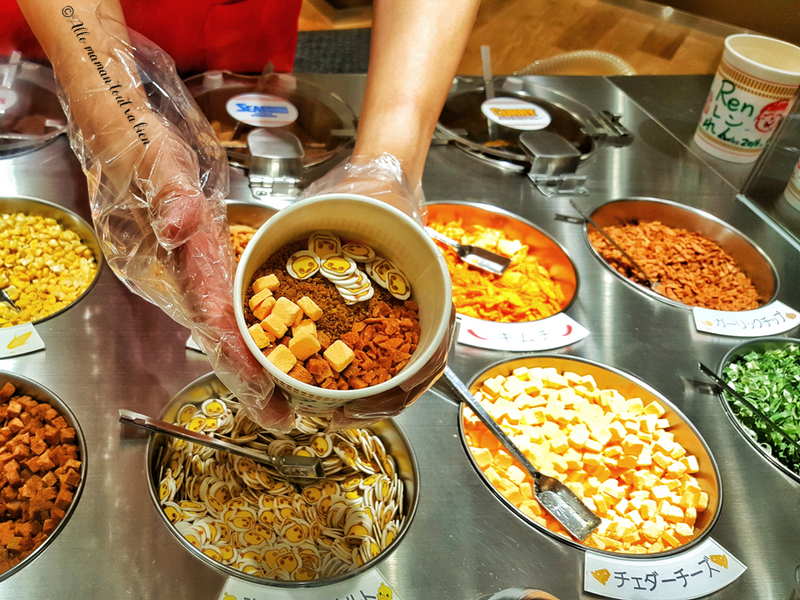 Were you able to try the ramen workshop? What I did was called the workshop in Osaka. You can draw on your cup, make your own design, push the machine to make your noodles and so on.I am not sure if that is the work shop you are talking about. Thanks a lot for your comment and hope you enjoy yokohama! Please let me know how it goes! 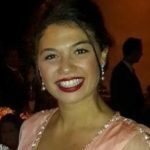 I would be glad to read about your experience! Thanks for the marvelous posting! I definitely enjoyed reading it, you could be a great author.I will remember to bookmark your blog and may come back someday.